The 2018 Life Insurance Barometer study revealed 78% agree that preparing financially for life’s unknowns is a way to show your loved ones you care. This makes February and Valentine’s Day a perfect time to remind clients to protect loved ones through proper life insurance planning. See a few ways below on how to share this message with your clients and prospects. Life insurance is a very emotional decision. Life Happens is a non-profit organization dedicated to helping educate consumers about the importance of life insurance. Their “Insure Your Love” campaign combines the strong emotional sentiment of life insurance with the seasonal theme of love. You will find resources like videos, graphics, and social media content to address the timely and touching subject. Sharing this content with your clients this month, in addition to your regular communication efforts, can help you emotionally connect with them. The National Association of Insurance Commissioners (NAIC) suggests that consumers regularly consider a life insurance policy review to determine if the coverage in their policy is still appropriate for their situations. The busy holidays are over, and “getting organized” is still a timely New Year’s resolution. So it’s a perfect time to connect with clients. A quick email or call to check in on their family, health, marital and housing status can help start a life insurance policy change conversation. Encourage your clients to send their life insurance beneficiary a Valentine’s Day card. Or at least have them review their beneficiaries and communicate this gift of love to them. Clients need to let their chosen beneficiaries know of the policy, how much it’s for and where they can find the details in the event of the client’s death. You can also use this time to also make sure all the beneficiary’s information is accurate and up-to-date. This includes date of birth, address, contact info, and social security number. The NAIC has some tips for naming beneficiaries you can also share with clients. 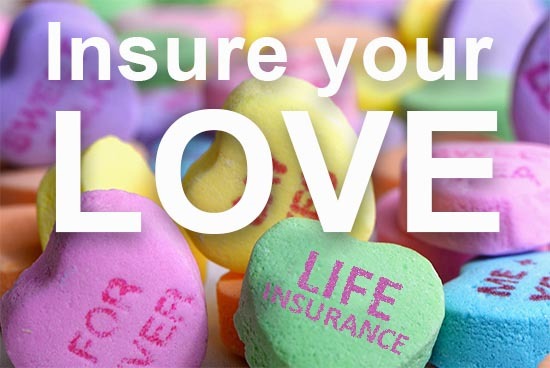 A life insurance policy is often referred to as a gift of love, so during the Valentine season, it makes sense to encourage prospects and clients to show their love with the protection of life insurance. Insuring their future lasts much longer than chocolate or flowers.